The world is slowly shifting from desktops and laptops to smartphones and tablets. This impending shift in technology means a lot of potential money making opportunities for budding entrepreneurs. If you already have a successful business, then building a mobile app helps in extending your reach and improving sales. However, if you’re looking to create a successful mobile app, then intensive research is necessary. Mobile applications broadly fall under two categories, B2B and B2C. The success of a mobile app depends on the concept you build it on, how well you identify the target users, how efficiently your app performs and finally how you can keep your users hooked. What Are B2B Mobile Apps? B2B mobile apps are nothing but applications that target other businesses. They’re slowly gaining the deserved importance in the app store. The importance of mobility is a recent phenomenon and, according to a study by Salesforce, 70% marketers are looking at mobility services to simplify their business needs. Initially, email was the most powerful tool for executives who are always on the go. 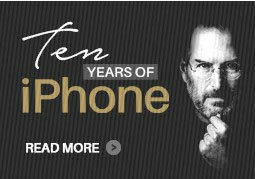 With the growth of innovative mobile apps, more detailed tasks (such as creating documents, presentations, etc.) have become easier. Finding the right tools to target businesses is the challenging task, but once the concept is clear, then the road to B2B app success can be created. The main advantage of a B2B app is the scalability and structure. The app process is quite straight forward, meaning the apps will be built to solve a particular task or need. Let’s take a documentation app as an example: It’s built for business development executives, sales personnel and pretty much all field agents to use to communicate with their clients. The purpose of the application is clearly defined – Make a documentation app with preset templates to create well-crafted emails, sales proposals, presentations, set reminders, etc. The functionalities are clearly defined in such a case, leading to easy communication with the developer. Also, attracting a target audience is easy as this particular app is frequently used by 99% of executives in the sales and marketing field. Almost all professionals have their own smart devices and this drastically cuts down the investment cost for businesses to invest on mobile apps. There’re also various new features that are coming into the market (Like Geo-location tagging, native push notification, beacon, etc.) which can take business apps to a personal level and help sales people target end users easily. B2B apps are quite expensive to create when compared to B2C. The main reason is that when we consider a productivity app or a documentation app, plenty of features are incorporated to make it useful for the end-users. And these features cost money. Another pitfall: They’re hard to sell. Business executives look at mobile apps as an asset to reduce their work time. When the application is slow and not user-friendly, it simply won’t sell. The features and functionalities should work seamlessly keeping end-users in mind. Similarly, marketing a B2B app requires a unique approach, as businesses are prone to do plenty of research before making a business related purchases. What Are B2C Mobile Apps? A B2C app is nothing but a mobile app that are used by consumers. B2C mobile apps are the most popular type of apps. The app store is flooded with applications hoping to be the next Angry Bird or Instagram. There are over millions of B2C apps and the success rate for almost half of the apps is questionable. There is a majority of gaming apps, social media apps, photo sharing apps, etc. The competition in the B2C space is a real thing. B2C mobile apps have a wider audience range. The app concepts can be as simple as a Su-Do-Ku generator and users would still love it. Thus, you don’t have to reinvent the wheel or add several functionalities to delight your audience. Also, another great advantage is that B2C apps can easily “go viral” in a way that B2B apps don’t. Perfect example: Flappy Bird. If you think about an innovative idea to create an app, the odds are that someone already developed it and it’s on the Play Store. The overflow of apps in the B2C sector may hinder the growth of new apps. Smartphone users tend to download apps that have good ratings and have quite a few version updates to ensure that the app has overcome the trial and error phase. Odds are that a new app will go totally unnoticed, unless and until it’s super innovative. Also, finding the right price point can be difficult. The app should always be priced within the desirable price range of $0.99 or $1.99 to entice users to download it. When the price model increases, more users tend to look down upon it. Similarly, the buyers are the users of the application, it they’re not satisfied with the app’s performance, well, look out for a lot of bad reviews. 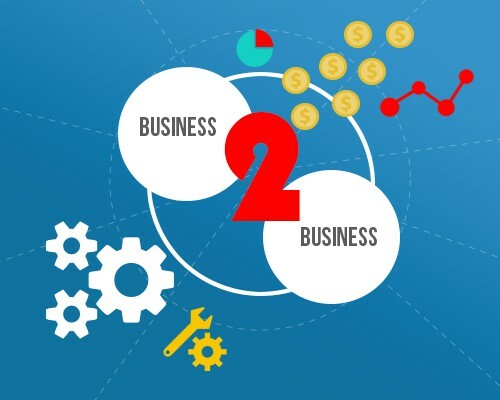 B2B Vs B2C – Which Should You Choose? Imagine you have $40,000 to develop a mobile app and you are in a dilemma to either create a B2B app or B2C app. From our experience and thinking about ROI, we think you can easily have a profitable app when you opt for a B2B mobile app. Development of any app will cost at least $30,000 and the remaining budget should be allocated to the marketing purpose. B2B gives you a defined target audience for you to focus on and allows you do a lot of outreach quickly. The budget can segregate to have a productive and efficient marketing campaign. A B2C app may cost a little less, but a mass marketing campaign is going to be needed to get any market penetration. And that will cost you a lot of money. Various social media campaigns, mailer campaigns, third party app campaigns, etc. should be implemented to get the brand visibility required for the success of the B2C mobile app. Again, not cheap. Also, you can charge more for B2B apps. B2C app pricing should also be fixed to a minimum when compared to B2B apps. Consumers will always refrain from buying apps with exorbitant pricing whereas businesses have a budget for investing in mobile applications. Also, iOS have options to enforce bulk B2B app license purchases. Making use of such functionality leads to a higher revenue generation with a single sale. B2B apps also have a loyal customer retention rate when compared to the B2C app users who are always on the lookout for the next best thing. The latest mobile app studies show the prominent increase in the demand for B2B apps in the market. The demand for B2C is looking at an impending downfall with the overflowing apps failing to impress users. 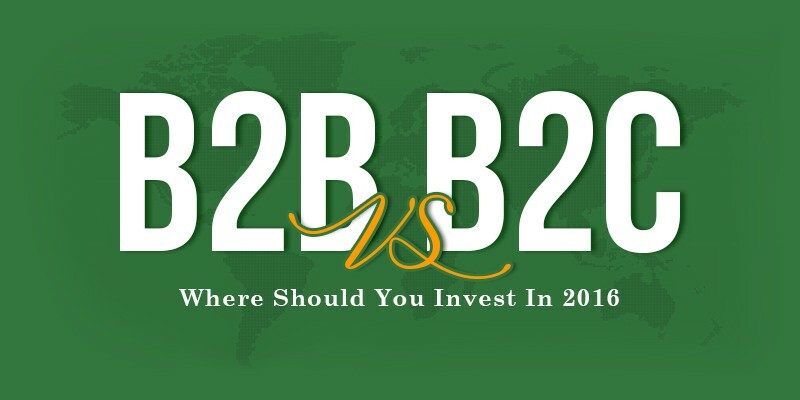 We think that your best bet is to invest in a B2B app. It’s more targeted and, in the long run, will save you money. Looking to create a B2B app? 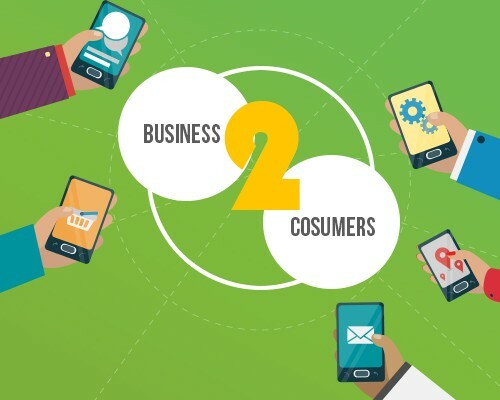 Tags: B2B Mobile Apps?, B2B Vs B2C Mobile Apps, Pitfalls Of B2B Mobile App, Why B2B Mobile Apps?